You can now very easily add a footer message to all of the automated emails generated from the Aptrack area of your account. This includes application autoresponders, and custom emails you have created to be sent by changing a candidate’s status. Please note, in light of the GDPR legislation we have also introduced an option for the candidate to unsubscribe from any further email communication. Therefore, it’s really important to provide clear and accurate details in your footer so that your candidate can make an informed choice regarding further communication. 1. 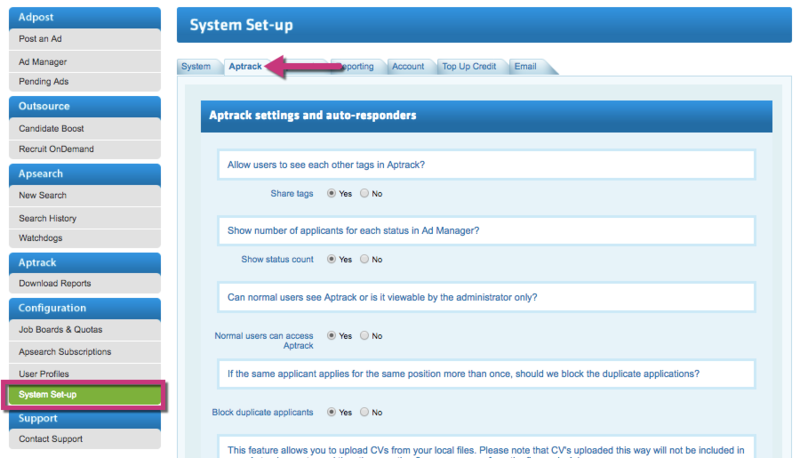 Go to 'System Set-up' in the left hand panel, and click on the 'Aptrack' tab. 2. 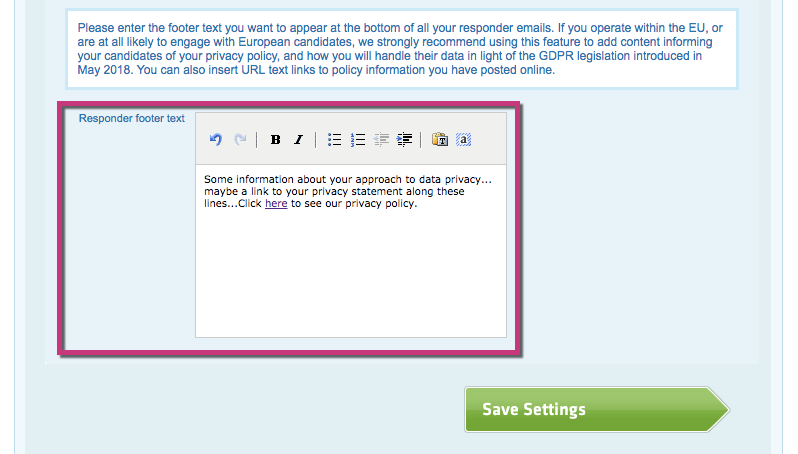 Scroll down to the bottom of the page and you will find the 'Responder footer text' field. Insert your footer text, along with any URL links you would like to include to where further details of your policies are posted online. 3. When you have finished adding your footer, click 'Save Settings' at the bottom of the page.